When I first heard of this bug, I figured you'd need to stand on a closed crate while it was being opened, and that some sort of physics glitch would send you skyward. Nope. You just need to find an opened crate, punch the lid from underneath it, and jump on it. If you really want to, you can even up the ante by having a friendly Octane put a launch pad on top of the bin, which seems to amp up its jump power considerably. It is possible to somewhat control your trajectory when using this bug, but where you'll land is still a bit of a crapshoot, as HeadBed discovered. Other players have had better luck, with Reddit user 10EXP landing just a few yards away from a golden loot bot. Naturally, many players have used this bug to trick their friends. What else is an ultra trampoline good for if not flinging your unwitting friends into the sea? All that being said, I think this clip from BottlecapXbox really sells the power of these supply bin lids. That's powerful stuff, right there. 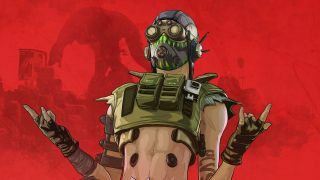 If nothing else, this bug is a hell of a lot more fun than the Apex Legends reset bug which temporarily wiped many accounts.